A nice cool dry day at Troon Darley today for the first order of merit event on the Big Johnson's Tour. The course was in very good condition, considering the recent heavy rain. The event was won with a score of 68 (three under par) by myself - John Henry (pictured), who, I can tell you, holed a lot of putts! 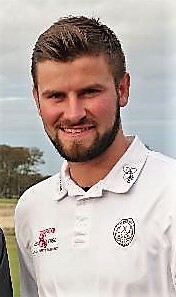 Local man Michael Stewart was runner-up with a 70. Our next event has still be to confirmed/arranged but it will be in late January or early February.